Prosecutions stemming from the nation's largest-ever criminal immigration raid "signal a sharp escalation in the Bush administration’s crackdown on illegal workers, with prosecutors bringing tough federal criminal charges against most of the immigrants arrested," writes Julia Preston of The New York Times. "Until now, unauthorized workers have generally been detained by immigration officials for civil violations and rapidly deported." Raiders of the Agriprocessors Inc. plant in Postville, Iowa, detained 389 workers, mostly from Guatemala. Yesterday, the prosecutions of 297 who pleaded guilty ended, with 270 being sentenced to five months in prison for working with false documents and 27 getting probation. "The large number of criminal cases was remarkable because immigration violations generally fall under civil statutes. Until now, relatively few immigrants caught in raids have been charged with federal crimes like identity theft or document fraud," Preston reports. "No charges have been brought against managers or owners at Agriprocessors, but there were indications that prosecutors were also preparing a case against the company. In pleading guilty, immigrants had to agree to cooperate with any investigation." The raid has prompted much action and discussion in Postville's religious community, reports Karen Heinselman of the Waterloo-Cedar Falls Courier. "Last week, Christian radio station manager Doug Smith of 101.9 KNWS challenged listeners to examine immigration in the context of faith, removed from politics," she writes. Smith asked, "Can we help our nation craft policies that respect our laws and our right of border protection while at the same time treating people with respect and compassion?" (Read more) The station is one of 15 owned by Northwestern College of St. Paul, Minn., a liberal-arts school with a Baptist heritage. Florida tomato pickers could see their pay nearly double following an agreement between their organization and Miami-based Burger King, the second-largest U.S. hamburger-restaurant chain. The previous agreements added a penny a pound. To encourage the Florida Tomato Growers Exchange to accept the latest deal, Burger King agreed to pay 1.5 cents more per pound, with the extra half-cent to cover administrative costs and any additional payroll taxes. The exchange still opposes the deals. "It says no legal avenue exists to ensure the raise is passed on to workers, who it estimates make an average of $12.50 per hour. The coalition estimates workers earn 45 cents per 32-pound bucket," the Miami Herald reported. (Read more) Burger King said the deal would cost it $320,000 a year. Newspapers can play a key role in getting communities in their region to cooperate on economic-development efforts, and one that does that in Illinois was recognized this month for its efforts. The Journal Gazette-Times Courier, of Mattoon and Charleston, won a Business Ethics and Social Involvement award from the East Central Illinois Development Corporation, which covers nine counties. Publisher Carl Walworth is at right in the photo from his paper, with Charleston businessman and Mayor John Inyart, left, and Jim Ryan, a civic volunteer from Marshall. The Lee Enterprises paper was nominated by Scott Lensink, President of Lake Land College, who said at the awards banquet, “The Journal Gazette and especially its publisher Carl Walworth have really helped to bring Mattoon and Charleston closer together.” The towns are eight miles apart. While the newspapers are actually zoned editions of the same paper, the Journal Gazette remains identified with Matton and the Times-Courier with Charleston. Editor & Publisher lists them with circulations of 9,668 and 6,166, respectively; their Web site gives higher figures and says the combined circulation is 18,322. For more about the papers, click here. For their story on the event, by Managing Editor Bill Lair, click here. Rural entrepreneur Jack Schultz wrote on his Boomtown USA blog, "Having observed Mattoon and Charleston from 30 miles away over the past several decades, I couldn’t agree with Scott more. One of the problems that I’ve observed of sister cities like Mattoon and Charleston is that they spend way too much time fighting each other rather than trying to figure out how best to work together. The local newspaper, especially under the leadership of Carl Walworth, has tirelessly championed a togetherness approach through such efforts as a quarterly leaders' breakfast for the entire county, a program to recognize young leadership in the county, a program to recognize volunteers, and several other innovative programs." Schultz writes that Walworth was a journalist "and wasn’t necessarily the logical choice when the longtime publisher retired. However, under his leadership I’ve watched in awe as he has taken a very positive approach to reporting news and promoting the region. 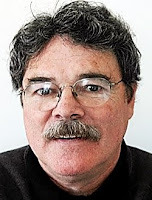 The example of the transformation of the Journal Gazette led by Carl is a lesson that other local newspapers would do well to study if they hope to positively impact their region. Virtually anyone who is looking to move to a town (business, doctor, professional, etc.) is going to subscribe to the newspaper prior to making the decision to move." Schultz says sensational reporting of crime can create the wrong impression and suggests taking it off the front page. We can't agree with such a blanket rule, but there are good journalistic reasons, not just good community-development reasons, to make sure such coverage is measured in a way that accurately reflects its importance to the community. We would also add that newspapers that fall short on grammar, style, spelling and even presentation can create a bad impression, too. Saturday, May 24 is deadline to sign up for SPJ's Citizen Journalism Academy in Greensboro, N.C. The Society of Professional Journalists will host the second of three Citizen Journalism Academy programs June 7 at Guilford College’s Frank Family Science Center, Bryan Junior Auditorium. The registration deadline is Saturday, May 24 and seating is limited. — Journalism ethics. The new-media landscape is rife with dilemmas for anyone wanting to report accurately, fairly and outside the bounds of speci al interests. — The basics of media law. The same longstanding laws concerning libel, slander and access to people and information apply to 21st Century news-gatherers. — Access to public records and meetings. Public information can add substance and value to every news story. But knowing where to look for it can be tough. — Standard and responsible reporting practices. With media ethics and law in mind, how else should news-gatherers approach sources? — The use of technology. We'll show you an array of tools you could start using — or continue using even more effectively. The program will run from 8 a.m. to 5 p.m. The $25 fee includes lunch and course materials. For more information or to register, click here. Anther Citizen Journalism Academy will be held in Los Angeles on June 28. Funding is provided by SPJ's Sigma Delta Chi Foundation. A victory for independent weekly newspapers was amplified this week when a California judge said a chain-owned weekly in San Francisco had to pay triple damages -- $15.9 million -- for trying to put the independent San Francisco Bay Guardian out of business with subsidies and bargain advertising rates. Superior Court Judge Marla Miller also slapped SF Weekly with an injunction barring it from selling ads below cost for 10 years. Both papers use free circulation. The ruling followed a jury verdict in March. Educators, businesses, hospitals, other institutions and residents in rural areas are concerned about the limited availability of advanced telecommunications services, including high-speed Internet services, and a new study explains why and offers recommendations for making broadband more available. "Proactive policies are needed to facilitate broadband Internet access and adoption in rural areas so that rural hospitals, schools and businesses can drive social and economic development and better position themselves to compete," a group of Penn State researchers and a recently released report, Broadband Internet Use in Rural Pennsylvania, through the Center for Rural Pennsylvania. "While the report focuses on Pennsylvania, their recommendations hold true for any state with a large rural population, according to the researchers, says Science Daily. The report "examines broadband availability and adoption in four sectors -- health care, local government, education and business -- through case studies, interviews with key information-technology personnel and analysis of organizations' Web sites. "Broadband services offer a huge opportunity for rural areas with significant payback in terms of economic development and community revitalization,' said co-author Amy Glasmeier, professor of geography and academic partner of the Institute for Rural Journalism and Community Issues. 'The Internet makes possible a whole range of processes which involve more than rapid access to information and which range from joint projects by municipalities and collaborations between schools to development of new business processes.'" According to Glasmeier and her colleagues, broadband Internet use has increased steadily among rural residents, but is still not widespread in rural areas, and dial-up service often remains the only affordable options in some areas. "While dial-up allows for electronic access to information, its slower speed and lower bandwidth capacity limit organizations from developing Internet-enabled processes and collaborations -- what the researchers distinguish as 'transformative' uses," Science Daily writes. "For instance, with broadband Internet, rural hospitals could improve patient care by forging networks with urban hospitals to access their expertise and resources. Rural hospitals also could develop interactive processes such as online appointment scheduling, remote patient monitoring through biosignals and image data and videoconferencing between patients and doctors. 'Policy must consider ways to facilitate broadband deployment to do more than the status quo only slightly faster or with less face-to-face contact,' Glasmeier said. But policy makers also need to recognize that there is no single solution to the challenges of broadband utilization. Programs need to be specific to their sectors and linked to the specific challenges facing individual sectors, the researchers assert." Wisconsin, Nebraska, the Dakotas and neighboring states are losing young workers who are not sticking around following graduation from high school or college. These workers represent a "valuable commodity in the Upper Midwest [that] is draining away," Celeste Headlee reports for National Public Radio. In a recent story that is part of NPR's ongoing series The Bottom Line, which investigates how the current economic downturn is affecting people and their communities, Headlee says that graduates are more likely to head east, west or south to search for a better lifestyle. "People go where they think they're going to get work," Iowa State University economist John Swinson said. "Jobs go to where they think they're going to find they right kind of people. Where those two things intersect currently isn't in the Midwest or the Plains." "Moving statistics from moving companies really tells a tale of whether states are having in-migration or out-migration, and the Midwest and Illinois are suffering from out-migration at a very large rate," said John Tillman of the Illinois Policy Institute. He said Illinois, a major agricultural state with many rural residents, has lost more than 700,000 in the last decade. Such losses are not restricted to metro areas as, according to Tillman; 75 percent of counties in the upper Midwest have experienced population declines. "Every state in the Midwest has been doing everything they can think of to stimulate growth to try to entice, bribe or otherwise subsidize economic development, whatever it takes to remain competitive they've tried it" Swinson said. Curt Metzger, director of research for the United Way for Southeastern Michigan, said states can't sit back and wait for things to improve, and it is time for a complete change of mindsets. "Those Midwest values that we all feel very strongly about, the whole idea was, 'Yeah the kids are going to go away because kids always do, but they're going to come back when it's time to raise a family,' but it doesn't happen anymore." Metzger said that states need to move beyond reforming tax structures and developing new industries. This, according to him, includes an update to Midwestern values that could mean changing everything we know about the Midwest. Pam Belluck of The New York Times took a fresh look recently at the shortage of large-animal veterinarians, an important story that could be done in many rural areas. Maine, for example, has only 30 large-animal veterinarians, "and across the country, veterinarians who care for the animals that provide the United States with food are in increasingly short supply. For one, there is generally more money to be made caring for cats and dogs. And with fewer students from farm backgrounds, fewer gravitate to rural jobs, especially if a spouse needs work, too. Large-animal care can be tough, even dangerous — think of maneuvering in frigid weather around 1,000-pound cows in manure-filled pens. And more veterinarians are women, generally less inclined toward large animals." A 2004 federal law that "offered to repay" student loans to veterinarians who work in underserved areas, has received little financing, Belluck writes. Loan repayment or grant programs have under way or have been proposed in Kansas, Maine, Missouri, North Dakota, Texas, and elsewhere, she reported. "In Iowa, students at the state’s veterinary school formed Vsmart, which barnstorms county fairs and 4-H meetings to entice teenagers to become rural veterinarians." In Oklahoma, a legislator-rancher has introduced a bill offering tax breaks to large-animal veterinarians. Small-animal vet practices can be more profitable because they allow dozens of animals to be treated each day in an office setting, as opposed to required long distance trips between farms and ranches for those working with large animals. Owners of family cats or dogs are more likely to pay for expensive treatments or procedures. President Bush vetoed the Farm Bill today, saying "At a time of high food prices and record farm income, this bill lacks program reform and fiscal discipline." He said it uses "budget gimmicks" to hide spending increases" and "continues subsidies for the wealthy." His statement continued, "The American taxpayer should not be forced to subsidize that group of farmers who have adjusted gross incomes of up to $1.5 million." Bush also criticized creation of a new program that could cost billions if commodity prices drop, several specific spending earmarks in the bill, and the extension of prevailing-wage rules, which he said have no place in the bill. He also cited unspecified "constitutional concerns." But the House and Senate, which passed the bill by veto-proof margins, are expected to override the veto quickly because current farm programs expire Friday. UPDATE: The House discovered that it failed to send the full bill to Bush, invalidating his veto, so an emergency measure may be needed to extend farm programs again. But the ultimate outcome, passage of the bill into law, does not appear to be in doubt. For details from Peter Shinn of Brownfield Network, click here. The Memphis Bioworks Foundation is promoting a "future in which farmers throughout the Mid-South [will] ship crops to Memphis, where chemical companies convert them into everything from paint to plastic bottles," writes Daniel Connolly in The Commercial Appeal. "The nonprofit, which focuses on building up science-based businesses and creating highly paid jobs, is planning a big push into industrializing agriculture. They're calling the initiative AgBio. 'The long-term trend says that a bio-based economy is going to develop,' said Bioworks leader Steve Bares. 'That opportunity for job growth is something we want to be positioned for.' Bares and associates emphasize that the effort goes beyond bio-based fuels. The foundation envisions farmers growing special crops for industrial purposes and using non-edible 'biomass,' including leftovers like corn stalks, to make products such as lubricants, fibers and coatings." "Bio-based products are a dramatically growing part of our domestic and the global economy," Bruce Scherr, head of Informa Economics, a Memphis-based agriculture consulting firm that focuses on agriculture, food and energy, told Connolly. Some time may pass before bio-based fuels take hold in the United States, he said: "The science for creating fuel out of cellulose remains crude, he said. But there's lots of potential to create lubricants, fibers and other products from biological sources." A strategic plan for building up the agricultural industry in the Memphis area "should by ready by early 2009, and while it's being developed, the group plans to draw farmers throughout the area into the planning process," Connolly writes. Bares told him, "The message to farmers is this is clearly an opportunity for farmers to make money and to leverage the assets they have in hand." Agriculture Secretary Ed Schafer said yesterday that his agency will enact a regulation to ban from slaughterhouses "downer" cattle, those that cannot stand on their own. The move comes after the largest beef recall in history, prompted by activists' video "that showed California meat plant workers using forklifts and electric prods on animals unable to stand," writes Christopher Lee of The Washington Post. A new program added to the Farm Bill in final negotiations could cost billions if commodity prices decline from currently high levels, the Department of Agriculture warned this week. "They have taken a good idea and gone to an extreme," Deputy Agriculture Secretary Chuck Conner said. President Bush has said he will veto the bill, but it passed by veto-proof margins. Some smaller communities are losing scheduled air service because of the rising cost of jet fuel and the decline in number of passengers, prompting some in Congress to push for more money for the 30-year-old Essential Air Service Program, which was created to ensure that communities in rural and remote areas would be linked to the nation’s air system even as the industry was being largely deregulated. Clinton posts Ky. landslide on race, religion, rurality, economy; should she reject racist votes? Among Kentucky Democrats, 21 percent said the race of the candidates was important to their vote, and 81 percent of those voted for Clinton. Among whites, it was 86 percent. (Asked about gender, 16 percent said it was important, and 79 percent of those voted for Clinton. Most were women.) The results of the exit poll were very similar to the poll taken in West Virginia a week ago. Race is a tricky subject for pollsters, because many people won't speak honestly about it to strangers. Sometimes related questions reveal more, and that seemed to be the case when Kentucky Democrats were asked about Obama's former pastor, the Rev. Jeremiah Wright; 54 percent said Obama at least somewhat shares Wright's controversial views, and 84 percent of those voters went for Clinton. She did even better, 91 percent, among those who said the two men share "a lot" of views. The views of a pastor are more important if voters go to church a lot. In Kentucky, 45 percent of Democratic voters said they attend church at least weekly, and it's reasonable to conclude that many of them can't understand how he could attend a church for 20 years and not somewhat share the views of its pastor. More than half of the voters said Obama does not share their values, and 89 percent of those who said he doesn't voted for Clinton. Among voters who live in rural areas, Clinton won 77-17; small towns went for her by 69-24, and she carried suburbs 57-39. Obama won cities 56-38. The rural vote in Kentucky's Democratic primary was 45 percent of the total, mirroring the state's share of rural population, one of the nation's highest. Small towns were 13 percent and suburbs 29 percent. In several rural counties, Clinton won more than 90 percent of the vote. For county-by-county results from Edison Mitofsky Research, click here. CNN analyst and superdelegate Donna Brazile said there were other reasons for Clinton's landslide, such as the fact her husband carried Kentucky twice and campaigned hard for her. Education was also a factor, a key in Obama's win in Oregon, according to a telephone poll conducted there. CNN analyst David Gergen, who was an aide to Bill Clinton and Republican presidents, said Hillary Clinton should talk to voters directly about the race and Wright issues. He said the Kentucky exit poll "raises the question of whether she should say, 'If you're going to vote against him because he's black, I don't want your vote.' I see no reason why she shouldn't take the high road in the closing days of this campaign." Fellow analyst and former Bill Clinton aide Paul Begala said Wright and Obama's character would be better subjects for Clinton, because it is hard to talk directly about race, especially if the speaker is white. In any event, Begala said, it is more important for Obama to talk about economic issues and transcend race. Another analyst, Jeffrey Toobin, said some pointed Clinton comments about race would bring her long-term political benefit. "She might as well say it," Toobin said, "because it would make a difference." Dana Milbank of The Washington Post quotes Bill Clinton going after the media elites: "Every time you turn on the television and listen to one of the people dissing her, they all have a college degree, they've all got a good job, they've all got health care and they're having no trouble filling up their gas tank." Milbank says the Clintons were offering rhetorical Kool-Aid. As usual, he writes a good read. Whether in the Dairy Queen or the dollar store or along the sidewalks of a courthouse square ringed with shuttered businesses, people speak freely of their dislike for the lanky senator from Illinois. . . . Anyone thinking a black politician could come onto the national stage and simply win these Kentuckians over is being naive, residents say. And it's not, as some outsiders might believe, because the town's voters are ignorant. "To attribute it solely to ignorance would be totally inaccurate," said Melody Chaney, a financial adviser in Munfordville and a Clinton supporter. "It's a matter of education, their upbringing and their background, peer pressure. There are lots of factors that contribute to this." Perhaps out of sympathy, Huppke quoted the more dispassionate observers early and put most of the prejudiced people near the end of his story -- after a couple of African Americans. At the 2000 census, blacks were 11.5 percent of Munfordville and 6.2 percent of Hart County. When presidential campaigns come to rural America, they generate the widest possible range of news coverage, from the local weekly newspaper to international networks. It's a chance for rural journalists to blend solid local color with big issues, and an opportunity for regional dailies to try new approaches. Both efforts were on display in Kentucky today, after former President Bill Clinton's visit yesterday to Mount Sterling, Ky., population 5,900. 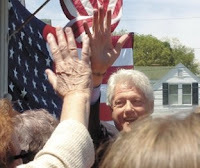 Mike Wynn of The Winchester Sun, a 7,000-circulation daily published in an adjoining county, had a solid lead: "During a rare campaign stop in Mount Sterling Monday, former President Bill Clinton called on voters to ignore naysayers and shore up support for his wife, Sen. Hillary Clinton, as Kentucky heads into a historic Democratic primary today. The rally was part of a last-minute swing through the Bluegrass region as the Clinton camp seeks to secure a majority in the national popular vote despite Sen. Barack Obama’s continual gains in the delegate count." Wynn's story laid out the issues for local voters. Katheran Wasson took the photo above and also wrote a story about Michelle Obama campaigning in nearby Lexington. The local metropolitan daily, the Lexington Herald-Leader, wrapped up the Kentucky barnstorming by Obama and the Clintons and advanced today's election in a story by Ryan Alessi. But it also featured on its front page, and for awhile led its Web site, with a first-person account from Kenn Johnson, a writer and retired English teacher whose wife was recruited to help the campaign find a place for the former president to speak. "After an hour or so with no luck finding a suitable site, my wife mentioned that our house might meet the qualifications: a front porch, a level lawn and understanding neighbors. They wanted something decidedly New Deal middle class. No tax-breaks-for-the-rich mansion," wrote Johnson, left. "My wife was beside herself with joy. 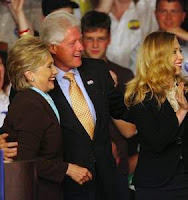 Bill Clinton's visit would be the best thing to happen to her since she tossed her underwear at a Tom Jones concert." The weekly Mount Sterling Advocate covered Clinton, but does not plan to post its story until Friday, the day after its print edition is published. That is normal practice for the paper's Web site. However, it did post results from the primary election. Surveys of beekeepers indicate that more than 36 percent of their honeybee colonies were lost during the past winter, according to Science Daily. More than one-third of these losses can be attributed to Colony Collapse Disorder (CCD), a mysterious plague that threatens the pollination needed for many crops. Science Daily reports that honeybees "add about $15 billion a year to the value of U.S. crops by pollinating fruit, vegetable, tree nut and berry crops. Some beekeepers have already lost one-half to two-thirds of their colonies to CCD." Is this disorder causing problems for farmers in your community? Check with your local extension office. The syndrome was first observed in caves near Albany, N.Y., by the New York State Department of Environmental Conservation in February 2007. A white substance was present on the heads and wings of dead and hibernating bats. Now that spring is here and people are more active outdoors, the U.S. Geological Survey issued a Wildlife Health Bulletin urging wildlife and conservation officials throughout the U.S. to be on the lookout for the syndrome and to report suspected cases of the disease. "Bats are an important part of our ecosystem," says the U.S. Fish and Wildlife Service. "One bat eats as many as 3,000 flying insects a night during the summer months. Because females produce just one pup a year, the plunging number of bats — apparently as many as 90 percent loss in some hibernacula — translates into a crisis in bat populations in four states with no end in sight and potentially far-reaching effects, an ecological disaster in the making." "The most common findings in the bats have been emaciation and poor body condition," reports Science Daily. "Many of the bats examined had little or no body fat; some exhibited changes in the lung that have been difficult to characterize; and a majority had microscopic fungi on their bodies. The white substance (as illustrated in the photograph by Alan Hicks) observed on some bats may represent an overgrowth of normal fungal colonizers of bat skin during hibernation and could be an indicator of overall poor health, rather than a primary pathogen. Scientists from a variety of agencies are investigating underlying environmental factors, potential secondary microbial pathogens and toxicants as possible causes." 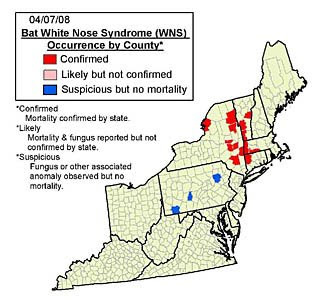 Scott Darling, a bat biologist for the Vermont Fish and Wildlife Department, told WCAX News, "When you do the math and make the calculations of some 500,000 bats being affected by white nose syndrome, that adds up to literally 2 billion insects per night that won't be eaten by those bats." Darling estimates that, based on preliminary findings, the syndrome has an expected fatality rate of 90 percent and has affected approximately 600,000 bats in the region. "At this point, I consider all of Vermont affected," he said. "We have upwards of 25 confirmed sites in New York, Vermont, Massachusetts and Connecticut, and we have suspected it in some sites in Pennsylvania." Large-scale wildlife deaths should be reported to the USGS here. The state of Washington has issued a cease-and-desist order to Pigeon King International, which officials in at least one state suspect is a Ponzi scheme, reports Farm and Dairy, based in Salem, Ohio. Andrea Zippay writes, "Investigation showed pigeon breeder Arlan Galbraith and his company violated the state's Business Opportunity Fraud Act and were not registered with the state to offer business opportunities there." Galbraith dismissed the state's action. The order "doesn't mean anything, really. It sounds important, but it's not," he told Zippay. He said the action resulted from "lots of troublemakers out there who are complaining." The state fined Galbraith $1,000, which prompted him to say he is not interested in doing business in Washington or any state where he and his company are not welcome. Farm and Dairy reported that the Iowa attorney general completed an investigation of the company in March and expressed concern that Pigeon King was a Ponzi scheme, defined "as an investment fraud in which early investors are paid with money obtained from later ones in order to create the illusion of profitability." Galbraith said Pigeon King owns more than 2,900 pairs of breeding pigeons in Ohio, Indiana, and Pennsylvania, and conducts business in several U.S. states and Canadian provinces. The company's Web site was under construction at the time of this post. "The poll indicates that [McCain] cannot count on rural voters to provide him a winning margin," as they did for President Bush in 2000 and 2004, rural correspondent Howard Berkes reported on National Public Radio. Republican pollster Bill Greener told Berkes that McCain needs to widen his rural margin to win the election, and Democratic pollster Anna Greenberg was more specific: "If John McCain can't win rural voters by the same kind of margin that George Bush did, it's hard for me to see how he wins the election." Bush won rural counties by 16 percentage points in 2000 election and by 19 points in 2004. For an audio version of Berkes's report, including interviews with voters, click here. Alan Abramowitz, a political scientist at Emory University in Atlanta, told NPR that the poll was good news for Obama "because he's only losing rural voters by nine points. ... He's pretty well-positioned to do very well in these swing states." Obama has had difficulty attracting rural voters in some states, particularly in Appalachia and the Rust Belt, but Abramowitz said he has an opening on economic issues. More than half of the voters in the poll, 54 percent, agreed with this statement: "John McCain served his country honorably, but he does not seem to understand my economic problems." But 52 percent agreed with this statement: "Barack Obama says he wants to represent all of America, but he does not share my values." The pollsters said in a detailed memorandum, "Concerns about the cost of living are intense, particularly gas prices in a part of the country where many must drive long distances to work. Moreover, we see real ambivalence about all of the three presidential choices -- each candidate has a genuine opportunity to define the race on his or her own terms. 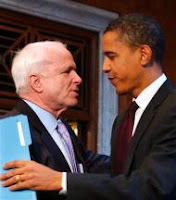 All told, we can expect a real fight for the heartland, because McCain needs a larger margin than he currently enjoys among rural voters to win nationally and Obama needs to find a way to bring Democratic defectors back into the fold." Berkes said Clinton's strong standing with rural voters was "a stunning upgrade for Clinton, who rated as unpopular as 'illegal aliens' in a similar rural survey done just last year. Clinton and her husband, former President Bill Clinton, have worked hard since then to win over rural voters." Bill Clinton has campaigned heavily in rural areas and called himself the campaign's "designated rural hit man." The survey has an error margin of plus or minus 3.75 percentage points. It was taken May 13-15 among 682 likely voters outside metropolitan areas in Nevada, New Mexico, Colorado, Missouri, Iowa, Minnesota, Wisconsin, Michigan, Ohio, Pennsylvania, New Hampshire, Virginia and Florida. Most of the states are more rural than the national share of 21 percent; in the 2000 census, the rural share was 8.5 percent in Nevada, 11 percent in Florida and 15.5 percent in Colorado. For a longer summary of the results, from the Daily Yonder, click here. For the full poll results, click here.